Tips on successful college application essay topics. College essay prompts from the Common App, University of California and more. Does an outstanding college application essay really make a difference? Yes. Just read about our personal experience. 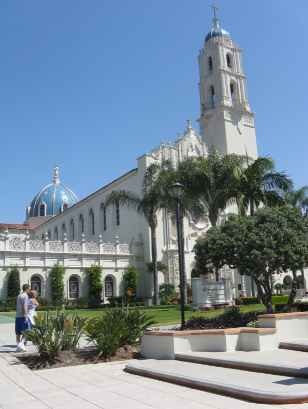 Last spring, I had the privilege of driving my son to several Southern California colleges for his undergraduate college admission scholarship interviews. The potential students were selected by invitation only. What was baffling me was the fact that even though my son had a high GPA and SAT/ACT score, there were other students from his school district with equal or higher scores who had also applied but not received such invitations. Based on this simple observation, I concluded that a well-written personal essay plays a crucial part in the college application process. The undergraduate admission and the scholarship officers at each college or university you apply to actually take the time to read your essays. Therefore, start early and take the time to write a high quality personal statement essay. Think of it as your successful college application essay. Each college or university may require different essay topics (Also known as college essay prompts.) For example, the prior year's Common Application (Common App) college application essay prompts (topics) are as follows. These may change slightly for next year. Note: Candidates choose one topic and respond in 250 words minimum and 650 words maximum. College essay prompt 1. Some students have a background, identity, interest or talent that is so meaningful they believe their application would be incomplete without it. If this sounds like you, then please share your story. College essay prompt 2. The lessons we take from failure can be fundamental to later success. Recount an incident or time when you experienced failure. How did it affect you, and what did you learn from the experience? College essay prompt 3. Reflect on a time when you challenged a belief or idea. What prompted you to act? Would you make the same decision again? College essay prompt 4. Describe a problem you've solved or a problem you'd like to solve. It can be an intellectual challenge, a research query, an ethical dilemma - anything that is of personal importance, no matter the scale. Explain its significance to you and what steps you took or could be taken to identify a solution. College essay prompt 5. Discuss an accomplishment or event, formal or informal, that marked your transition from childhood to adulthood within your culture, community or family. The following example is for the University of California Application. All undergraduate applicants must respond to 4 of 8 college essay prompts. Each response can be a maximum of 350 words. UC College essay prompts for freshman applicants. UC College essay prompt 1 for transfer applicants. This first essay prompt is required for all transfer applicants. Transfer students to UC should choose 3 of the other 7 questions. PLEASE NOTE that the first prompts for both the Common Application and the University of California (UC) overcoming challenge question are more-or-less the same topics: your personal statement or essay. 1. Stanford students possess intellectual vitality. Reflect on an idea or experience that has been important to your intellectual development. 2. 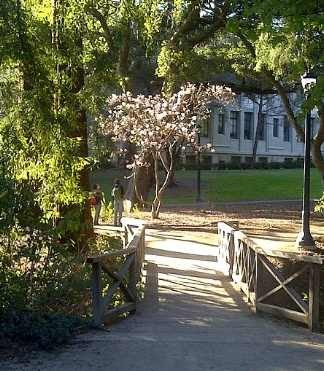 Virtually all of Stanford's undergraduates live on campus. Write a note to your future roommate that reveals something about you or that will help your roommate - and us - know you better. Here are some of the best college essay examples that were submitted in one of our college essay contests. For more college essay examples, see our page with links to many more college admission essay examples and Scholarship Essay Examples.